Sailor Moon Universe - What Happen's After They Healed The Four Sisters? WHAT'S HAPPEN'S AFTER THEY HEAL THE FOUR SISTER !? Why is this page here? Well, it is basically agreed that the rest of Sailor Moon won't be dubbed into English, and if they are, not until a bit later than expected. So, if you are a die-hard Sailor Moon fan wanting to know what happens to the rest of the story but can't afford to see the videos, you're in luck! Here is the rest of what happens. I'm so sorry but I don't remember who wrote this! Gomen! If you wrote this let me give you credit! I've converted some of the Japanese names into the familiar NA names so you won't get too lost. Once Sailor Moon had converted all the Dark Moon sisters, Rubeus took it upon himself to get Rini and the silver imperium crystal (silver crystal). Meanwhile, now that Rini knows Serena has the crystal, she decides that she will take it from her and return to the future to save her mother. When Serena is out, she takes it and heads for the docks where she appeared and tries to use the time key. It fails and Rubeus appears. However, the scouts appear and protect Rini. While they are escaping, Rini calls Sailor Mars by her real name and that's when the scouts realize she knows everything. She runs off and the scouts look for her. It is nighttime and Rini tries the time key again. It fails and Rubeus appears with his UFO ship. The scouts appear but their attacks don't seem to work. 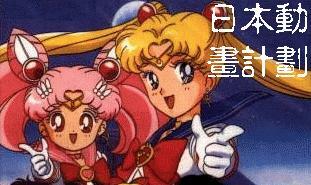 They try a Sailor Planet Attack but without Sailor Moon, it isn't very effective. (If you're wondering, Sailor Planet attack is the same attack they used to close the warp hole during the episode "Sibling Rivalry") Tuxedo Mask comes and picks up Rini but then the others are transported and captured by Rubeus. He says that if Sailor Moon doesn't hand over Rini and the Silver Crystal, the scouts will die. Sailor Moon decides to see if he can trick Rubeus and goes to the designated waiting area. Meanwhile, Rini (who reasons out Darien is Tuxedo Mask!) decides likewise and shows up behind Sailor Moon. Both are transported to his ship floating in space. While Sailor Moon and Rubeus fight, Rini manages to dislodge a key crystal controlling the ship. The others are freed and they use the Sailor Teleport to escape. Rubeus dies on the exploding spaceship. Rini falls ill and the Luna-ball floats up and is replaced by an image of another scout, who is introduced as Sailor Pluto. Pluto tells them that Rini is being attacked in her dreams. The scouts enter Rini's dreams and get their first glimpse of Crystal Tokyo of the future. It is a ruined, desolate place. At first Rini doesn't know who Sailor Moon is but later remembers. They defeat a droid that looks like the Grim Reaper, and Rini is healed when she dreams of saving her mother. Now, the moment we've all be waiting for. During one of these episodes (with Esmeraude taking over places) Serena has the same dream Darien's been having. She sees herself at her wedding and afterwards, her floating away while everything around her is being destroyed. She awakens and looks at a picture of her and Darien together and suddenly the glass shatters! She goes to his apartment and tells Darien of the dream. They talk for a bit, but Darien is starting to believe it is real and pushes her out of the apartment. Serena cries at the door that even if the world were destroyed she'd still want to be with him. Later in that episode, Tuxedo Mask shows up and says that he is willing to fight alongside them and tells Sailor Moon it is their duty to protect Rini and in essence, protect the future. He leaves, but Sailor Mars urges Serena to follow him. They meet in a secluded place where Darien waits. They embrace and kiss, finally back together. Rini has decided that she wants to go back to the future because she's found Sailor Moon and feel they can help her mother. She takes them to the gateway between times where Sailor Pluto is the guardian of time. They emerge in Crystal Tokyo, and just like in Rini's dream, it is absolutely dark and destroyed place. Rini runs off at the sight of the place. They look for her when a ghostly apparition appears. He introduces himself as King Endymion. The scouts notice he looks exactly like Tuxedo Mask. He says he is Darien, of the future. Tuxedo Mask realizes that his voice was the same as the voice in his dreams and sees a trap. He attacks but he cannot hit the image. King Endymion admits he sent those nightmares as a test. He had to know that their love would stand up against that nightmare because they were destined to face even greater challenges. He takes them to the Crystal Palace. Meanwhile, Prince Demand in his nearby Dark Citadel has noticed Sailor Moon's arrival into the future. He pieces together Sailor Moon's resemblance to Neo-Queen Serenity and is entranced by her beauty. Several times he tries to capture her and force her to love him but Tuxedo Mask (quite mad!) rescues her. When Sailor Moon tries to use her own Silver Crystal and fails, Rini becomes convinced not even Sailor Moon can save her mother. She runs off and leaves the safety of the shield. Outside the Wiseman paralyzes her and from her memories, we learn the reason of Neo-Queen Serenity's encasement in crystal. One day, Rini had accidentally broken a vase and the servants scolded her, saying she should be more graceful like her mother (seems Serena grew out her klutziness but transferred it to Rini!). Rini wanted so much to be like her mother that she went into the room holding the Silver Crystal. She held it up, hoping it would make her more graceful but instead it disappeared. She was afraid she would be really punished for this and ran off. Suddenly the Dark Moon began attacking. Neo-Queen Serenity went to look for Rini and was caught outside the safety of the palace. Rini kept saying she wasn't the reason for her mother's predicament when in her heart she believed she was. The Wiseman said he believed it wasn't her fault and tricked Rini into following him. He took her into the Dark Citadel where he began reviving memories when she was mad at people (eg. One time she was walking in the rain when she spotted a frog and went after it. Her mother said not to, and Rini fell. She cried and asked her mother to help her up, but she refused, saying that she should have listened. Rini looked to King Endymion but to her shock, he told her to listen to her mother and get up herself. She cried out she hated both of them.) From those kinds of memories, the Wiseman corrupted Rini and she transformed into Black Lady, a grown up version of Rini, with a dark inverted crescent moon on her forehead. Esmeraude, jealous of Demand's attention for Sailor Moon demands to know her future. Wiseman tells her she will learn to control the Dark Crystal and be Queen of the Dark Moon beside Prince Demand. This is exactly what she wanted to hear, and Wiseman gives her a Black Crystal Tiara which transforms her, first into a beautiful queen, then as the dark energy surrounds her, a dragon. The dragon attacks Crystal Tokyo, but is eventually defeated. As the dragon falls to the ground, it turns back into Esmeraude who whispers Demand's name before she dies. The scouts are called back into the palace where an image of Sailor Pluto tells them something strange has happened to Rini and they must return to the past. Back in their time, the scouts notice a dark crystal growing larger and larger. They are about to approach it when Black Lady appears. When Luna-ball goes towards her and the moon on its face changes to the dark inverted crescent moon, Sailor Moon realizes that Black Lady is really Rini. They fight before Sailor Moon begins to heal Black Lady. She remembers when everyone seemingly forgot about her birthday when in fact they were holding a surprise party (typical!). (Note: The future scouts look the same as the scouts we know except their faces may be a little more mature and they have light lipstick) But the Wiseman counters it by feeding Black Lady more dark energy and she resists the transformation. He makes Black Lady think the memory of the party never happened. Back in the future, Saffir, Demand's younger brother, learns that the Wiseman is using all of them to unleash the Dark Nemesis onto the world and destroy everything. A glimpse under his cowl briefly shows a skull! Saffir, realizing that Wiseman's goals weren't the same as theirs (ie, to take over Earth, not destroy everything!) he steals a key card and returns to the past, but not before Wiseman has injured him. He staggers around the streets before he passes out. He awakens in the apartment of the sisters and Prisma is taking care of him. He tells her of Wiseman's plans and that he must speak to Demand, whom he is sure will not hurt his brother. Prisma, obviously in love with Saffir urges him not to go, but she lets him leave. He leaves behind his coat which she hangs up on the wall. Katsy calls Serena and tells them of Saffir's plans. They meet at the crystal (now huge!) and protect Saffir. Black Lady manages to trap the scouts under a dome of energy but Saffir makes it to Demand who is willing to listen to what he has to say. Suddenly, a blast of energy hits Saffir and another, he dies. The Wiseman says he doesn't need permission to kill traitors and vanishes. Sailor Moon and Tuxedo Mask run to Saffir, and the bandage around his head loosens revealing the dark moon is no longer on his head. Demand takes his body and whispers Wiseman's name in rage. At the sister's apartment, Saffir's coat symbolically falls off the peg from the wall. Prisma clutches it and just after Saffir dies, his coat disappears. Prisma stands at the balcony, weeping. Back in the future, Demand wants to know why he killed Saffir. Wiseman says he got in the way. Although Demand sort of knows Wiseman is using them, he still agrees that they will conquer Earth. But he promises afterwards he will find out the truth about his brother's death. Wiseman admits, after he leaves, that Demand won't live long enough. At the huge crystal, Sailor Moon and the scouts enter it using Sailor Teleport. There, Sailor Moon is separated from the others. She meets Demand who tries once more to hypnotize Sailor Moon into loving him. She resists eventually and that's when Wiseman appears saying he must kill her. Wiseman and Demand fight, equally matched, but when he attacks Sailor Moon, Demand takes the blow. Just before he dies, he gives his best shot and disperses the Wiseman, his cloak and ball fall to the ground. Demand realizes how much Wiseman deceived his people and the only hope for them lies in the sisters who now live as regular people. He dies, and Wiseman rises up and attacks Sailor Moon. He shows her images of Tuxedo Mask and Black Lady kissing and rejecting her, trying to trick Sailor Moon. She resists and Tuxedo Mask shows up with the scouts. Wiseman says they are too late, now that Black Lady's energy is at it's maximum and together they open the Black Gate. Sailor Moon tries to heal Black Lady with the Silver Crystal, her attempt is so powerful, that in the future, Neo-Queen Serenity's body begins to glow. When the brightness stops, Sailor Moon is now dressed as Neo-Queen Serenity and she calls out for Rini to remember her past. (Really cool flashback, back with the Rini who fell and her parents refuse to help her. Neo-Queen Serenity explains that she wants Rini to grow up strong and able to depend on herself.) Wiseman engulfs Black Lady, Serena and Tuxedo Mask in dark power and they disappear. In a strange void, Black Lady is once more convinced everyone hates her. Serena tells her that isn't so, that she would give up her life to save Rini. She calls out for Rini and to remember all the good times. Black Lady begins remembering all the good times she had with the scouts in the past, and with Darien and Serena. Serena says that life is filled with bad times but that it is important to remember to good times and the people who love her. Finally, Black Lady embraces Serena and they emerge from the void, now Rini as herself, saying how sorry she was; Serena back as Sailor Moon. Wiseman, shocked over the loss of Black Lady says it doesn't matter, that the Death Phantom and Dark Nemesis will emerge to destroy everything. Sailor Moon once more transforms into Neo-Queen Serenity and shouts "Moon Crystal Power" and challenges the Wiseman. His crystal ball lances out a dark beam and they collide. Serena is having difficulty holding her own. Rini cries into Tuxedo Mask's cape and when a tear hits the ground, it becomes another Silver Crystal. Then Rini realizes that the Silver Crystal she picked up from the future didn't disappear, but merged into herself. She decides to use her crystal to help Serena and she transforms into Small Lady, with a little dress like Serena's. The two of them float into the air, while on the ground, the scouts hold hands and their tiara's crystals grow, adding their power to the two in the air. Serena and Rini yell out for the Silver Crystal's to unite and a powerful beam overwhelms the Wiseman's beam and destroys him. The Black Gate closes and the crystal begins to shrink to nothingness. Rini is on the docks, ready to return to the future. The scouts say goodbye but Serena is speechless, finally she and Rini embrace emotionally. Rini looks up and says, "Thank you... mama." She uses the time key and disappears into the future. Back in the future, Rini appears, and the world is once more beautiful. She races along the hills when she meets her parents and the future scouts. She stands and curtsies (how cute!) before she runs into Neo-Queen Serenity's arms and cries. The future scouts look on in happiness while Neo-Queen Serenity whispers, "Welcome home."